If you suspect that your teen could be using inhalants to get high, then it is very important that you intervene immediately. Huffing, which is most popular among teenagers, is an extremely dangerous habit that could cause harm to your child’s lungs, kidneys, and liver. The side effects of huffing can include brain damage or even sudden and unexpected death. 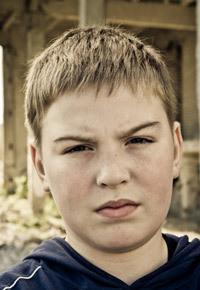 Teenagers can get high through huffing gases, aerosols (like hairspray or spray paint), nitrites, and volatile solvents. Teenagers who huff inhale, sniff, or snort the chemical vapors that alter their mental and emotional state either directly from an open container or through soaking a rag with their chosen substance and inhaling the fumes. Occasionally, teens will simply stuff the rags in their mouths or deposit the substance into a paper or plastic bag and inhale it in a practice known as “bagging.” For teens who want to huff in school or some other public place, in order to avoid being caught, the method of choice is often to soak their collars, sleeves, scarves, etc. with a huffable substance. Huffing and the dangers that accompany it should absolutely not be underestimated. Substances that can be huffed are very, very common, with experts estimating that over one thousand common household substances can provide a high through inhalation. Often, it is difficult to spot a teen who huffs, but there are a number of warning signs. If you have found empty paint cans, rags soaked in chemicals, or bags with a strong chemical odor stashed away in secret among your teenager’s possessions, this could be indicative of a huffing habit, and a teenager who exhibits symptoms of drug use (like depression, a withdrawn nature, and other unusual habits) could also be abusing inhalants. Paint stained clothes or skin, especially around the hands or mouth, are also common among teens who huff. If you suspect that your teen could be huffing, it is probably a good idea to seek professional help. Drug habits, especially one like huffing that it is easy for a teenager to access, are extremely difficult to break without the assistance of a trained professional.